If you are a professional, in business, or thinking about self-employment, you are no doubt online and have heard about the benefits of a LinkedIn Profile. You likely already have a profile started – now what? You may find yourself with more questions than answers! 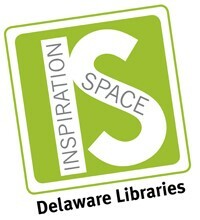 If you weren't able to make today's presentation - keep an eye open at the Library's Inspiration Space; we may offer it again! Not sure how we can help? Start here. You will want to allow LInkedIn to invite people in your address book to connect when you get a chance. You can easily edit or change anything you need to on your profile by clicking on that item directly (but let me know if you need me to change anything!). You can see how you look to connections or to the public by clicking on the view profile button next to your picture. If you hover near the top a menu will appear with other choices of actions you can do. To benefit from LinkedIn you will really need to start being more active and share information frequently – even if it is just sharing something someone else posts. I always make sure to post lots of stuff my clients can share with their “connections” just to stay on their radar; it also helps attract new contacts as they find you via your similar posts. but only found you via me, who has nothing to do with your industry! Be sure to indicate the location you will be attending! I am not an employee of LinkedIn or affiliated with them in anyway. Like you, I am a member, a member who appreciates what LinkedIn does for business. Mary is master’s-prepared and has over 18 years of experience in career assessment, counseling, and assisting career planners, job seekers, freelancers, professionals, and business owners in optimizing their brand, resume, LinkedIn Profile and social presence in general.